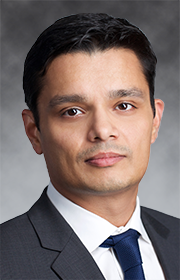 Akshay Bhatnagar – Tudor, Pickering, Holt & Co.
Akshay Bhatnagar is an Executive Director at Tudor, Pickering, Holt & Co. Asset Management. Prior to joining Tudor, Pickering, Holt & Co. Asset Management, Bhatnagar was a Research Analyst for EQ Capital Partners. Before EQC, Bhatnagar was a Solutions Architect at EMC Systems and worked as a Senior Consultant at Avanade. Bhatnagar holds a BS in Information Systems (Hons.) from the National University of Singapore and an MBA from Columbia University.